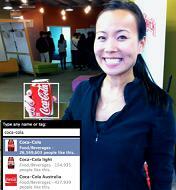 Will tagging brands in Facebook make marketing easier? Last week Facebook announced that pages can now be tagged in photos, as well as friends. When tagging a photo, users can scroll through a list of people and companies, and once selected, the tag will appear in news feeds and the photo will also appear on the fan page’s photo section. On the face of it, this looks like great news for brands and could be even more powerful than the ‘Like’. In effect, you can ask your customers to do your marketing for you – and allow your brand to be seen by more people. Maybe you could even replace your Facebook ad campaign with brand tagging. Some brands have wasted no time in leveraging the new photo tagging features. Coke are making it a key feature – look at the bottom of this page and revisit every few minutes to see how often Coke is being tagged. General Motors asked their fans to tag pictures of their cars (see below). US clothing company Zappos also achieved immediate results. 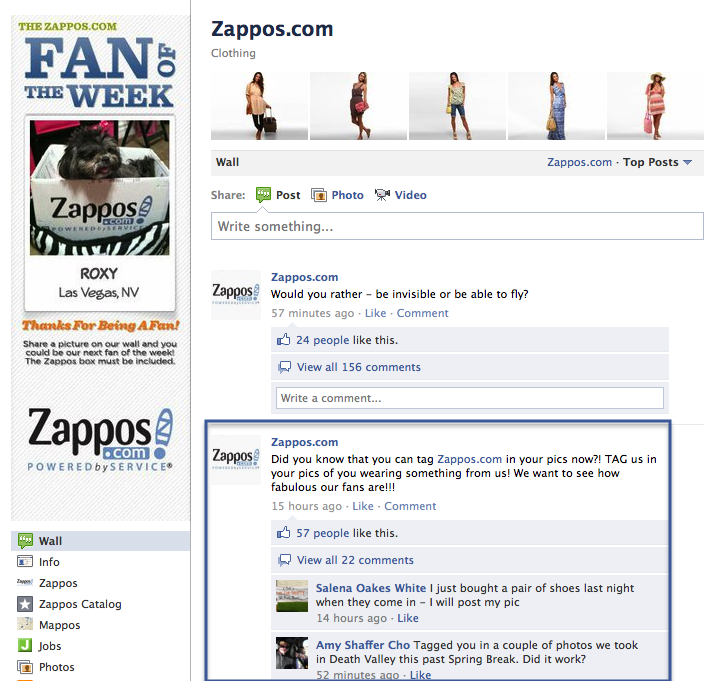 Like GM and Zappos you could also actively encourage community members to tag your brand in their photos. When they do so, you could reward them. Current Facebook rules don’t allow you to give away prizes, but you could thank them publically or engage them by making positive comments. For snowsports companies, whether resorts, operators or brands there are countless opportunities for tagging, all of which could greatly increase reach via Facebook for no additional cost. You should consider that Page admins will need to moderate. The ability to spam pages with unwelcome photos will be a red flag for some. Currently page tagging is limited to ‘Brands and Products’ or ‘People’ pages, with the rest to be added at a later date, in the same way that tagging pages in comments followed tagging friends. So should you ask your fans to tag? Whether you choose to ask your fans to tag your brand now will depend on your line of business and your current interactions with fans. It might be best initially to sit tight and see how tagging develops. You should of course ensure that your Page’s permissions are set up to display tagged photos, and then test yourself and monitor. The encouraging sign is that Facebook appears to be improving page functionality, which can only be good for marketeers. Page functionality could be further improved if they made sure the existing features actually worked and responded to queries when they didn’t. Ah, if only Facebook had a help desk! What features do you find not working? Im gonna give this theory a test this week with a photo tagging comp and see how it flies…. would be nice to think it did the job for you. Look forward to hearing how it goes, Paul. Keep me updated please. not going so well so far, even being a brand hasnt worked out as it seems not rolled out everywhere – will keep it going and try again! @paul – Looks like it’s working for you now. Just checked your FB page and lots of pictures tagged. Well done.